September 30, 2015 /3BL Media/ - The Hershey Company (NYSE: HSY) announced a new Clinton Global Initiative (CGI) Commitment to Action to train 7,500 farmers in Ghana on improved agronomic practices, empowering them to supply local commercial markets with safe and high-quality peanuts to produce Vivi, a vitamin and mineral-fortified nutritional supplement distributed to school children in Ghana. Hershey commits to 100% local sourcing of peanuts for its production of Vivi by 2018. “Ghana has a long history of producing peanuts, known locally as groundnuts. Yet rural farmers lack access to commercial buyers due to quality and food safety issues, so they struggle with low incomes,” said Mike Wege, Chief Administrative Officer at The Hershey Company. “By sharing our world class expertise in peanut production, roasting and processing, we hope to increase the quality and safety of Ghana’s peanut supply, improve the livelihoods of its farmers and promote a sustainable supply chain for basic nutrition.”Providing children with the basic nutrition they need to learn, grow and be successful in school remains a challenge across West Africa. Hershey produces and distributes these much-needed nutritional supplements at no cost to the children through a partnership with the Ghana School Feeding Programme and nonprofit Project Peanut Butter. In addition to capacity building and training for local peanut farmers, Hershey will provide financial and in-kind resources to rehabilitate a local peanut roasting facility and implement training on the appropriate roasting techniques. Hershey will establish a premium price for purchasing the peanuts as an ingredient for the Vivi nutritional supplement. The commitment to source 100% local peanuts for Vivi is part of Hershey’s global social purpose to provide children with the basic nutrition they need to learn and grow. 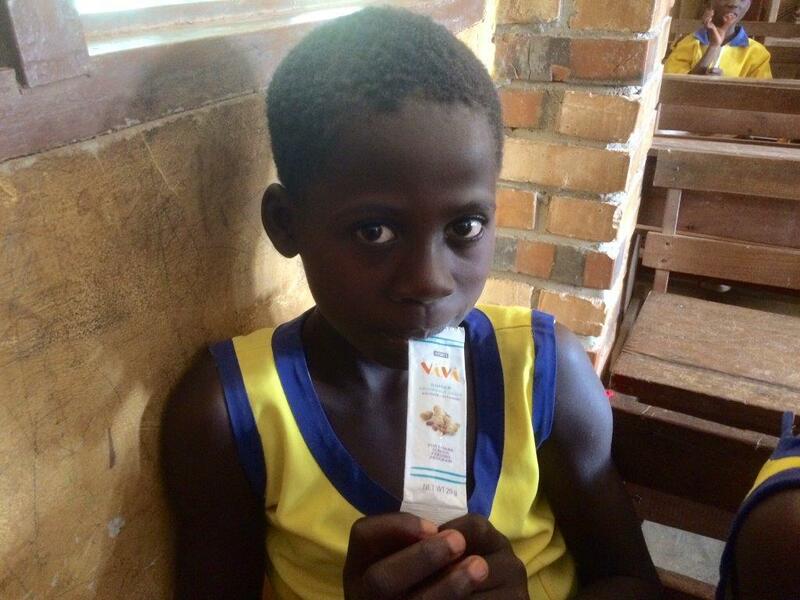 It builds on Hershey’s existing Energize Learning program, which will help feed 50,000 Ghanaian children by 2016 by distributing Vivi during the school day. For more information, visit NourishingMinds.com. The Hershey Company, headquartered in Hershey, Pa., is a global confectionery leader known for bringing goodness to the world through its chocolate, sweets, mints and other great-tasting snacks. Hershey has approximately 22,000 employees around the world who work every day to deliver delicious, quality products. The company has more than 80 brands around the world that drive more than $7.4 billion in annual revenues, including such iconic brand names as Hershey's, Reese's, Hershey's Kisses, Jolly Rancher, Ice Breakers and Brookside. Building on its core business, Hershey is expanding its portfolio to include a broader range of delicious snacks. The company remains focused on growing its presence in key international markets while continuing to extend its competitive advantage in North America.